The way I compare alcohol is the same way we compare food and restaurants. 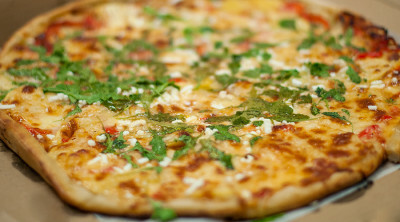 We can either go and eat to fill ourselves, or we can sit down and really get into the complexities of a dish and tease out the minute details and ingredients. That’s the difference between Crossroads and Chez Panisse. That’s the difference between Franzia boxed wine and a Macallan scotch. For Daily Cal readers of legal drinking age, here are some recommendations for how to go about drinking something better than the Vitali in a fraternity basement. A deliciously fruity and sweet scotch with a big bouquet of berries, apples and cinnamon, all coated in a sherry flavor. Smells much fruitier than it tastes because the malt barley and oak come into play. Very nice starter for people who are moving on from wine to bourbon and scotch. 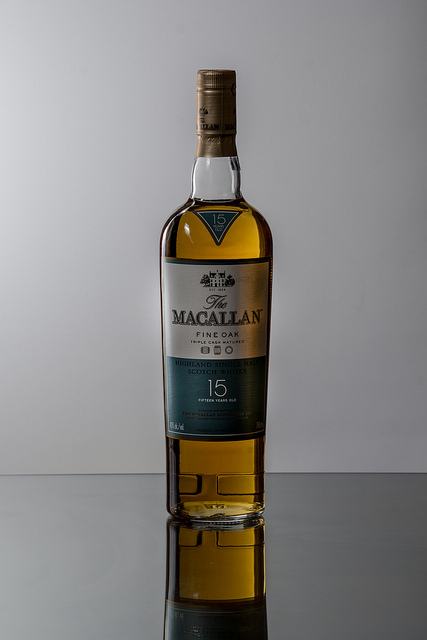 This scotch takes sometime to appreciate, in small sips and breathing in the bouquet of aromas. Color : Dark red, nearly deep orange. A big step up from Jack Daniels in the way of introducing the sweet flavor from the corn mash and crystal clean finish and a tasty aftertaste. It smells like berries, cinnamon and hints of oak. 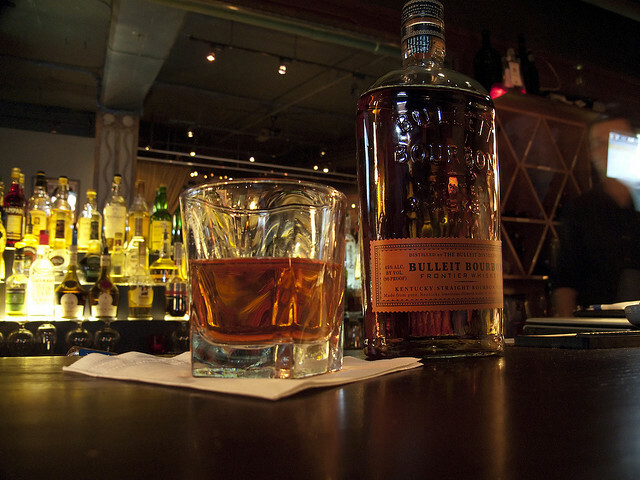 Some people may be wary of the 45 percent ABV, but the body of the bourbon can handle a few cubes of ice or a splash of water. It will remain an earthy cinnamon, oak with hints of rye all underlined with a clean crystal taste. I think this is a great drink for a warm Friday afternoon with friends chatting about whatever. 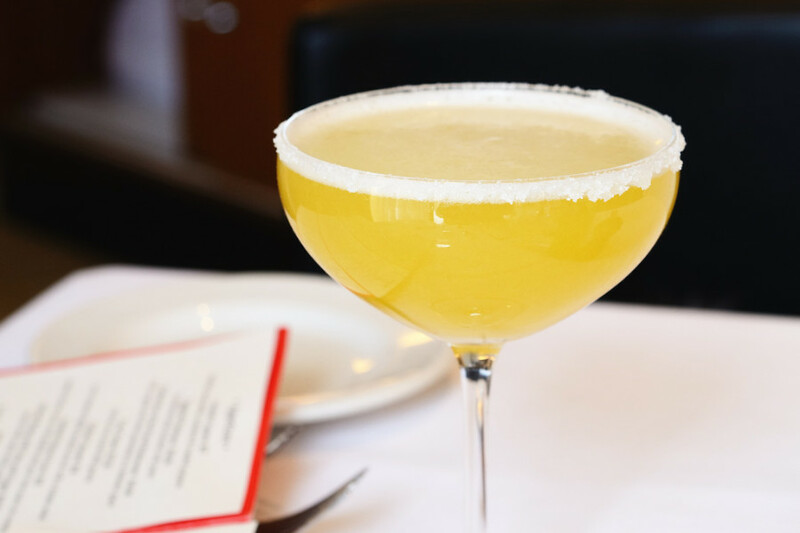 Classic Dry Martini – 2 oz. of Gin, 1 oz. 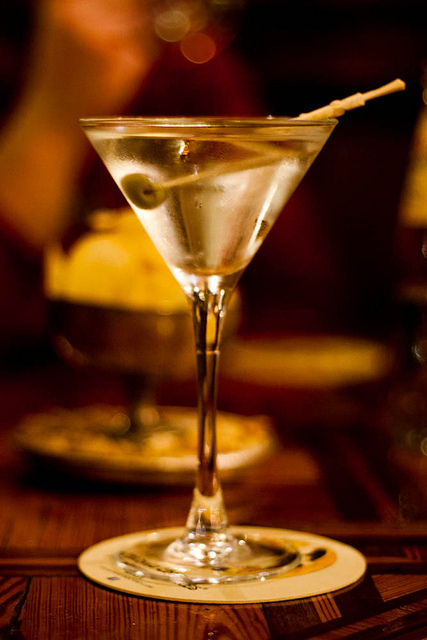 of Dry Vermouth over ice, stirred and strained into a martini glass or a thick-bottomed tumbler; olives if desired. It’s one of the simplest but also most interesting drinks out there. Gin itself is basically a grain spirit infused with herbs; it has a very pungent smell and strong taste that not many people like. But combined with dry vermouth, the taste mellows out without losing its complexity. Best time to drink would before a good meal; it does overwhelm the senses with the underlying herbal flavors and accompanying dry wine flavor. 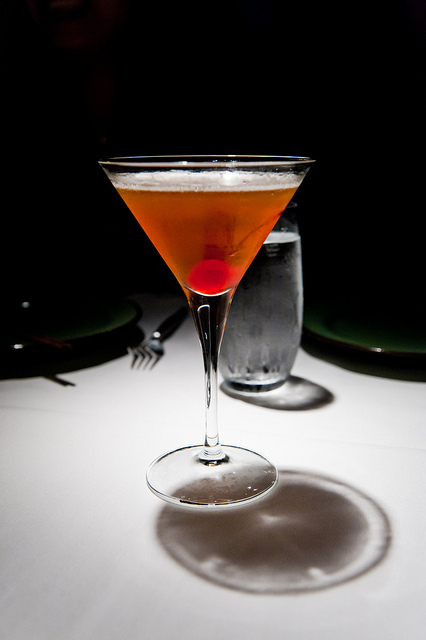 Manhattan – 2.5 oz. of bourbon, 1 oz. of sweet vermouth, and a dash of Angostura bitters. Combine over ice, stir, then strain into a chilled tumbler; garnish with maraschino cherries if desired. This is one of my favorite drinks, a perfect combination of the wine-inspired vermouth, sweet spicy bourbon and herbal bitters. All of the pieces fall together quite nicely into a balanced drink with a lot of character from the bourbon, but it’s balanced with the sweetness and sourness of vermouth. The bitters are a nice twist to the mixture by bridging the harsh ABV fire of bourbon and a mellow vermouth. My favorite time to drink this: It’s my favorite drink when I want to sit back and read something that isn’t for class but for pleasure, something to sit down with and relax and take life a delicious second at a time. You cannot go wrong with either this or the martini; they both have a smooth character to them, a complexity that doesn’t overwhelm yet still can be explored in different ways every time. Contact Piotr Le at [email protected] or follow him on Twitter: @PiotrLe.